Hello friend, summer is coming. are you plan to start your own juicer store? 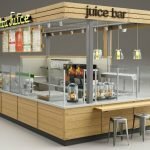 are you looking for juice bar kiosk? are you still worried can’t find the right supplier help you do it? 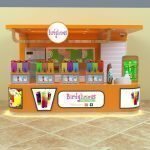 in this article what I wanna introduce is a very exquisite fresh juice bar kiosk design. if you’re interested to start your own food business, pls follow me see more details below. 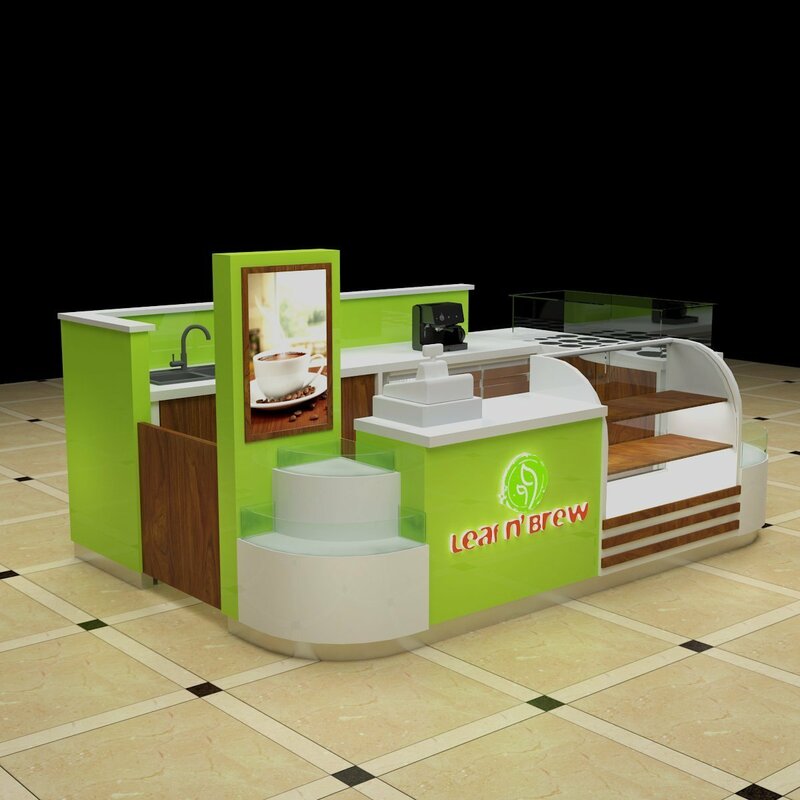 When we see this kiosk first eye, I’m sure you will love it, the whole kiosk using green as the main tone, match some brown wood grain and white, very exquisite and elegant. The front part of this kiosk with a big display fridge, mainly for display fruit. 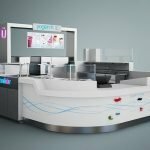 the next to is a cashier counter for order. the right sides of this kiosk is a topping area with glass cover. 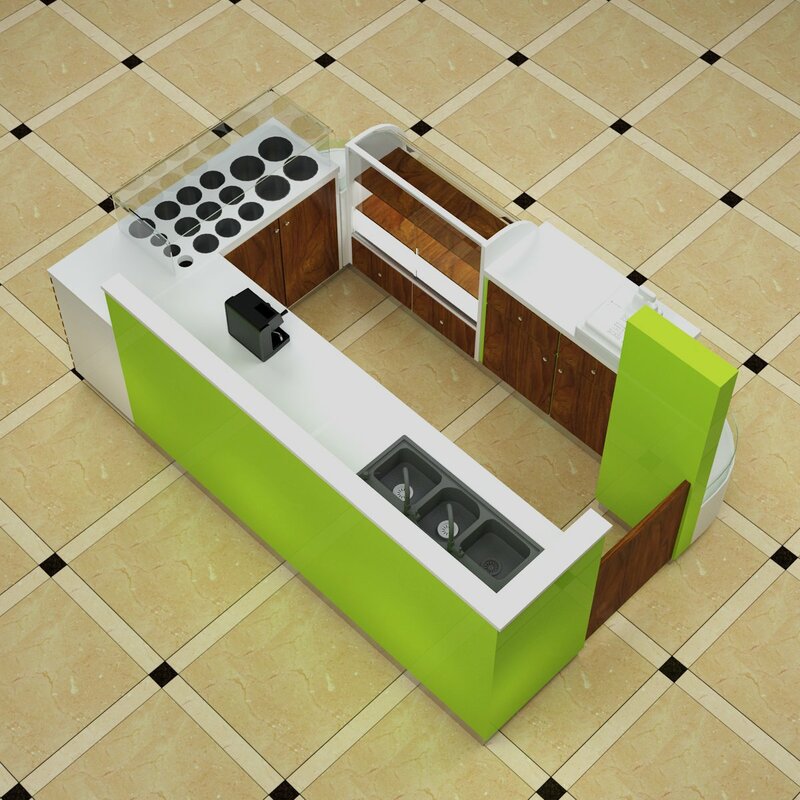 the back side is a long counter with white Corian worktop, can put some machine on it, on the corner is a stainless steel sink. the counter below part with many cabinets for storage. the bottom of the whole kiosk with stainless steel skirting. As you see the whole kiosk surface with much brown wood grain strip, match luminescence acrylic logo. looks very nice and attractive. Color: green, brown wood grain, white or others. Material: E1 plywood, Laminate, Corian. Service: juice, coffee. fruit tea. 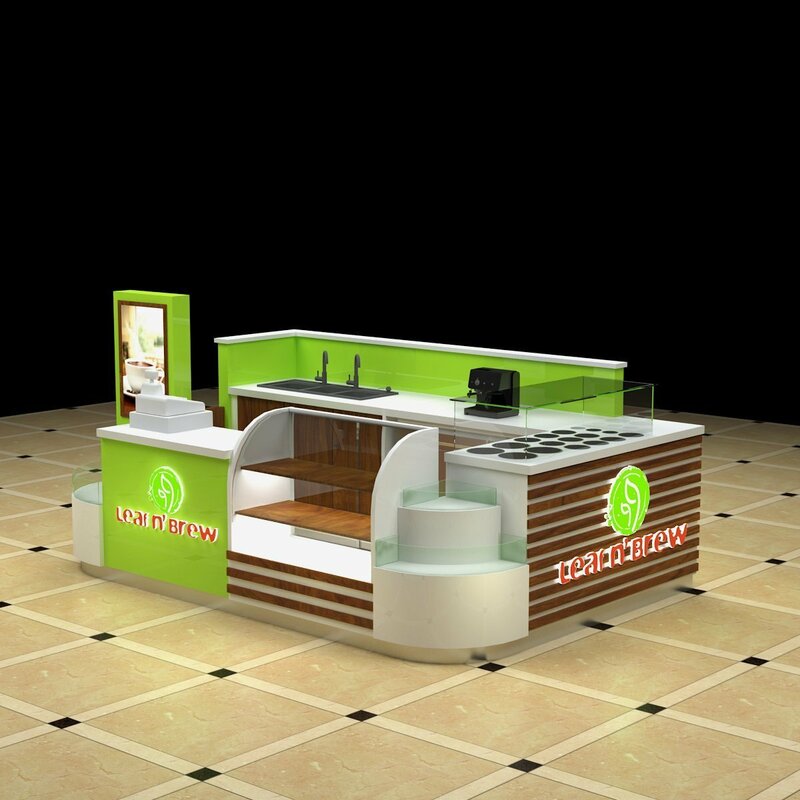 The unique kiosk as a direct supplier, we mainly do customize and design for the different type of mall kiosk and display kiosk.we can design basic on the personal requirement. 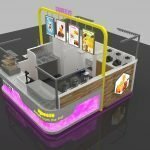 if you’re interested to start a juice store like this one, pls feel free to contact us. welcome inquiry.